Please welcome Jenni of Jenni Elyse, one of my favorite blogs. Twilight has had a huge impact on her life. She has one of my favorite Twilight stories and I'm so happy that she's sharing it on my blog today. I avoided reading at all costs when I was in high school and during the first couple of years of college. I knew it was important, yet it didn’t interest me. When I was assigned a book to read, I’d hunt down obscure movies or read the summations in CliffNotes to pass my quizzes and tests rather than cracking open the dreaded novel. If there weren’t summations or a movie, I guessed my way through the assignments and was even content with failing that part of the class if it happened. Unfortunately, I missed out on a lot of good novels at a young age. During high school, I had the opportunity—or should’ve taken the opportunity—to read classics, such as The Lord of the Flies and To Kill a Mockingbird, yet the only two books I read were The Scarlet Letter and Dune. It was only because the stories interested me enough that I endured the arduous task of reading. Historical, religious fiction (particularly those dealing with World War II or religious persecution) and science fiction had always captivated me. Up to that point, however, the only exposure I had to these genres was from movies and television shows. When I read the synopsis for The Scarlet Letter and Dune, I decided to give them a try. Even though I enjoyed both novels (Dune being one of my favorites), I still didn’t want to read anything else. 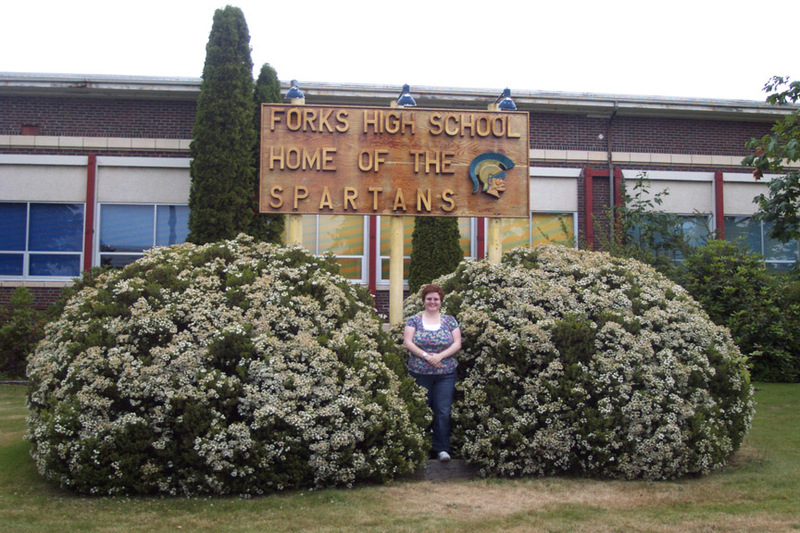 Years after I graduated high school, my interest in reading finally began to pique. When I saw Harry Potter and the Sorcerer’s Stone in the theater, the complexity and excitement of the story interested me so much I had to know more. My husband had bought the leather-bound edition of the first book a few months before, but until I saw the movie, I had no interest in it. I began to read feverishly, hanging on to every word on the page, and finished the book in two days. After I finished the first book, I didn’t want to wait for the long hold times at the library and I couldn’t afford to buy the next book at the time so I borrowed the second and third books from one of my nieces. I finished both of them in three days. At that point, I had to know what happened to Harry and his friends in the fourth book. My niece was currently reading it and I was too impatient to wait for her to finish. I bought the fourth book, even though it was financially unwise, and read it in three days. It was unheard of me to read a book in less than a week and I had read not one but four books in just over a week. After I finished reading the books in the Harry Potter series, I still didn’t quite have the desire to read more than I already did. I loved the Harry Potter series and each time a new book in the series was published, I’d reread all the books to prepare for the new adventure. But, I didn’t branch out more than that. I’d make up excuses to not read, like “I just don’t have the time,” “I don’t know what to read,” “It takes too much effort,” or “Nothing interests me” because I was simply too lazy to change my attitude toward reading. In 2007, my co-worker Becky recommended Twilight. My excuses were still in full force, but, amazingly, I decided to give the book a try. I had always had an interest in vampires, having watched a couple of television shows and movies, but I was too afraid to venture into that realm of fiction because I had heard the books were extremely scary, gory, and usually contained explicit content—something I wasn’t willing to read. The world around me ceased to exist (much to my husband’s dismay) while I was reading Twilight; the only thing that mattered was what happened to the characters. I felt like I was there, experiencing everything they did. After two days of non-stop reading, I completed the first two books in the Twilight Saga, and all at once my love of reading was ignited. Also, the story intrigued me so much that I wanted to know more and I wanted to talk about it a lot. I couldn’t find anyone to oblige me–my husband couldn’t have cared less (not that I blame him) and my co-workers and friends liked the book but not as much as I did. 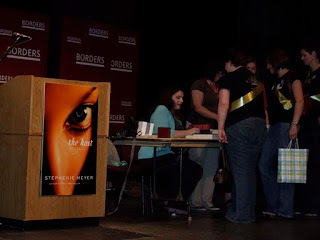 When I was reading Twilight, I noticed on the back of the book that Stephenie Meyer had a website so I decided to check it out. From her website, I was introduced to the Twilight Lexicon, lovingly called the Lex by its members. I had never been compelled to find people who shared the same obsession as me before. I had never wanted to join an online fandom, not even with Harry Potter. I decided to join the Lex, thinking that I’d be bombarded by a bunch of tweens and teeny boppers and I'd probably stop frequenting the fansite after a week or so. To my surprise, however, I found that there was a fairly large adult presence and many of them were from Utah, the state where I live. About four months after joining the Lex, I was invited to meet some of these Utah women. We got together at a restaurant and I felt like I had met my kindred spirits. They aren’t kindred spirits just because of our connection through Twilight; Twilight was merely a vehicle that moved us all to the same point where we could meet. We're kindred spirits because we were each looking to fill a void in our lives. We all have fulfilling lives through our families, school, jobs, church, etc. But, we needed something more … a way for us to be ourselves without wearing the wife, mom, student, and employee hats. This group gave us that. We’ve now been together for a little over four years. Their friendship, love, and support has meant a lot to me. We’ve helped each other through different trials and adventures in each of our lives, and I honestly don’t know where I’d be if I hadn’t found these wonderful ladies. My life definitely wouldn’t be as fulfilling as it is with them. Now, four years later, many of my friends have moved past Twilight while others, like me, still enjoy the Twilight Saga (mostly in book form). But, none of us can deny the impact these books have made on our lives. I’ll always be grateful to Stephenie Meyer for facilitating a way for me to meet these wonderful ladies and igniting my passion to read. HP & Twilight hooked me too. Thanks for having me today, Alison! :) I always enjoy sharing my story. And, I love the title! Love it! I was exact same way, I read all the required reading in high school and college but I had no interest in reading anything outside of that. A good friend of mine recommended Twilight after she'd gotten hooked and I devoured the entire series in a couple of days. I don't think I slept, I just read:) Thanks for sharing your Twilight story Jenni! Oh wow! You met Ms. Meyer! How awesome! I love your story. Reading Inspired Writing - Yay! I love it when other people got hooked on reading the same way I did. Jenny - It's good that you actually read the required reading. I didn't, lol, except for The Scarlet Letter and Dune. Savannah - I did have a chance to meet her. She went on tour for The Host and she had a couple of stops in Utah. Her signings are much more crowded than most author signings so I only had a couple of seconds to speak with her, but it was really cool. I think that's the very best part of the Twilight books, THX FOR SHARING!! Awww. This is so cute! I love it. It reminds me of myself...only different? Jenni, I love, love, LOVE your story! It is so similar to mine (we even found Twilight in the same year! ), only better. Thanks so much for sharing! I still surprises me that I've actually formed very meaningful friendships with people I've met on online book forums! I'm glad I'm not the only one. Missie - I'm glad you have a similar experience to me. It is very surprising, isn't it? Now, I love meeting people through my blog and others. It's so cool! What a great story!! I have always been a reader but Twilight really amped up my passion for books.